Highly anticipated and much needed according to some, updated guidelines on how to write a compliant physician query have been released. In February, AHIMA issued the practice brief “Guidelines for Achieving a Compliant Query Practice,” a collaborative effort between the HIM organization and the Association of Clinical Documentation Improvement Specialists (ACDIS) involving six representatives from each organization who came together to help improve the physician query process and ensure more accurate health records. Many in the industry are welcoming the practice brief’s arrival. Dee (Schad) Banet, RN, BSN, CCDS, CDIP, director of clinical documentation improvement (CDI) for Kentucky-based Norton Healthcare, notes that previous practice briefs issued by AHIMA in 2008 and 2010 were open to interpretation and often created confusion. “Queries should not be leading, but what does that mean? We needed clearer guidelines,” she says. 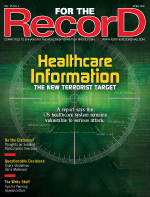 To achieve this goal, CDI staff and coders often need to request additional information from attending physicians, yet they must steer clear of leading queries—those that are unsubstantiated by clinical elements in the patient record and/or direct a physician to document a certain procedure or diagnosis—to remain compliant. The updated practice brief offers guidelines on when CDI staff and coders should consider generating a query, including when the health record documentation is incomplete or inconsistent; describes clinical indicators without a definitive relationship to an underlying diagnosis; includes clinical indicators, a diagnosis, and/or treatment unrelated to a specific treatment or condition; gives a diagnosis without clinical validation; or is unclear regarding present-on-admission (POA) indicator assignment. It also provides numerous illustrations of both compliant and leading queries, which experts across the industry are finding beneficial. Traditionally, CDI specialists work on patient floors reviewing charts. If there are discrepancies between a patient and his or her health record—for instance, if there is treatment for something that has not been diagnosed—with these new guidelines in hand, HIM professionals and CDI specialists now have a more specific understanding of how they can best query a physician to clarify the record. Experts agree that while the new guidelines are a great improvement, it is too early to tell what the industry response will be. Robert S. Gold, MD, CEO of DCBA, Inc, who already has been in discussions with representatives from the ACDIS about the worthiness of the new guidelines, offers a mixed opinion. “This practice brief is much better than the last one issued in 2008. A lot of people are happy to learn how to free up getting information,” he says. “People especially like the capability of asking for the diagnosis to be provided when no one named it but it is obvious that it was identified, worked up, and treated. And the capability of extending yes/no beyond the previous limit of POA is a definite advance. Because auditors also use the AHIMA guidelines, Taylor says it makes reimbursement resolutions a bit more straightforward. “So when we come back with an audit or a denial, we turn to the specific guideline, which we can use to appeal,” she notes. The brief further cautions that auditors may request copies of queries to validate their wording even if they are not part of the legal health record.